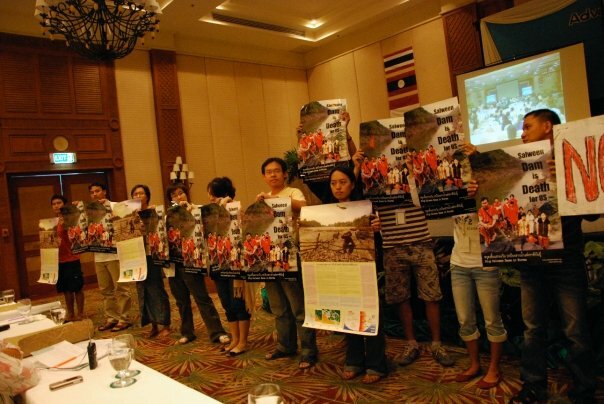 The groups cited recent increased military operations and human rights abuses by the Burmese regime around the sites of the planned Hat Gyi dam in Karen State and Ta Sang dam in Shan State, and warned that the projects would never provide guaranteed energy security for Thailand. The regime has stepped up attacks against the Karen National Union to gain control over roads and power transmission routes to the planned 1,360 megawatt Hat Gyi dam and driven over 3,500 new refugees into Thailand since June. Fresh fighting has also erupted in Shan State, as the regime has attempted to bring the ceasefire armies under its control as “Border Guard Forces.” Imminent attacks against the United Wa State Army, which controls the access routes between the planned 7,110 megawatt Ta Sang dam and the Thai border, would lead to a massive new refugee influx into northern Thailand. “The Salween dams will only mean more fighting and more refugees fleeing to Thailand,” said Sai Sai, Coordinator of the Salween Watch Coalition. Thailand currently depends on Burma’s natural gas for 12.2% of its total installed power capacity, and has recently suffered from supply interruptions. 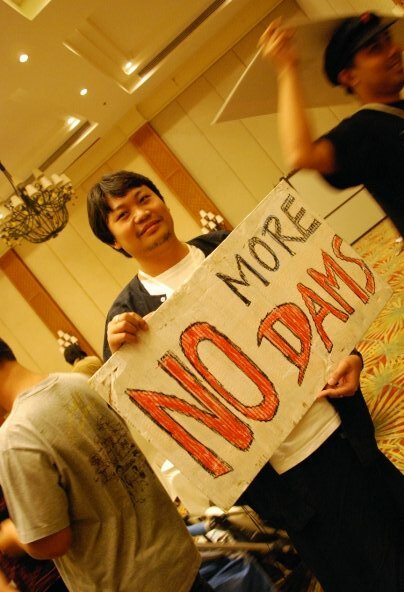 The dams would significantly increase Thailand’s dependency on Burma. “Building dams in Burma’s war zones makes no sense if Thailand wants a stable power supply,” said Montree Chantawong of the Thai-based environmental group TERRA. Five large dams are being planned on the Salween River in Burma, four to export power to Thailand, and one to China. The regime’s attacks against the Kokang in northern Shan State, which drove over 37,000 refugees into China in August, secured control of areas around the Upper Salween Dam, being planned by Chinese companies at Kunlong. [Cha-am, Thailand] Today, at the ASEAN People’s Forum, the Save the Mekong coalition sends to the Prime Ministers of Cambodia, Lao, Thailand and Vietnam a 23,110 signature petition urging the Mekong region’s leaders to abandon plans for hydropower development on the Mekong River’s mainstream and to work together to protect the river and pursue less damaging electricity options.